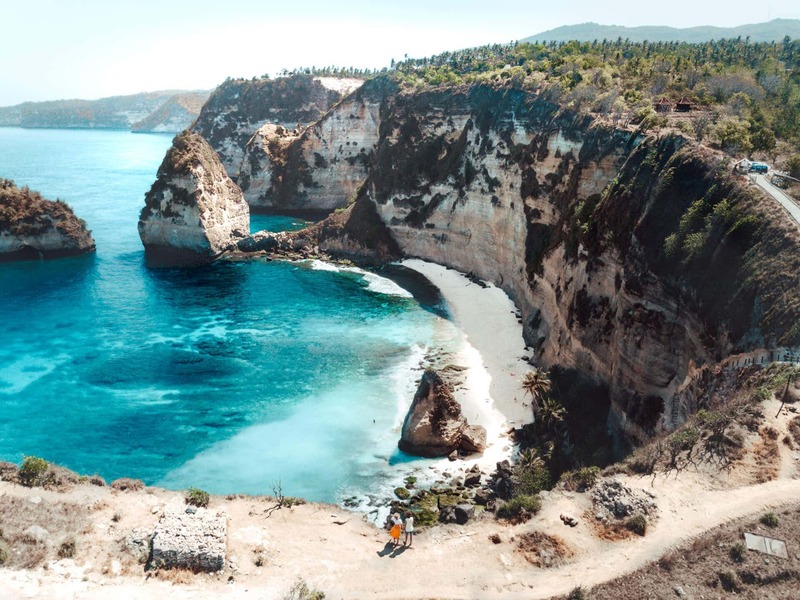 Nusa Penida island, a small paradise off the East Coast of Bali. 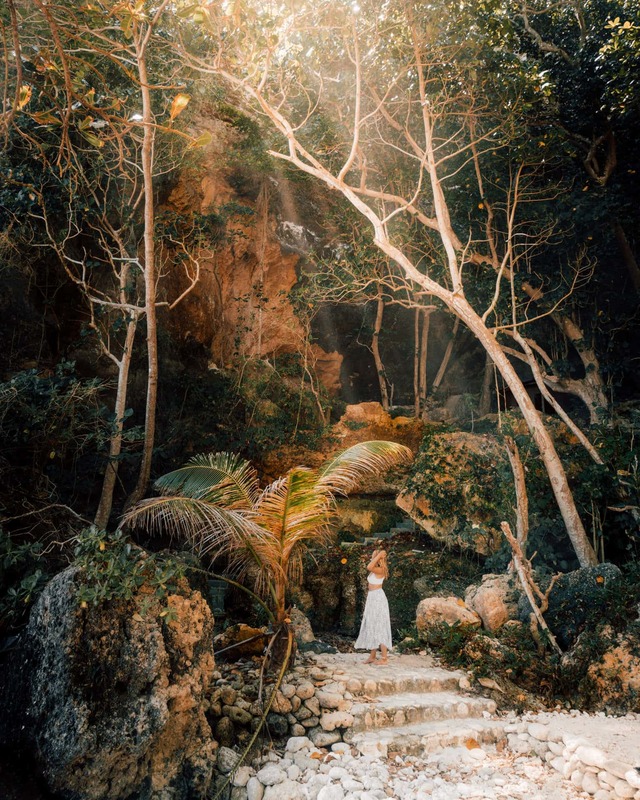 The limestone island offers incredible white sand beaches and 200-meter high cliff drops. 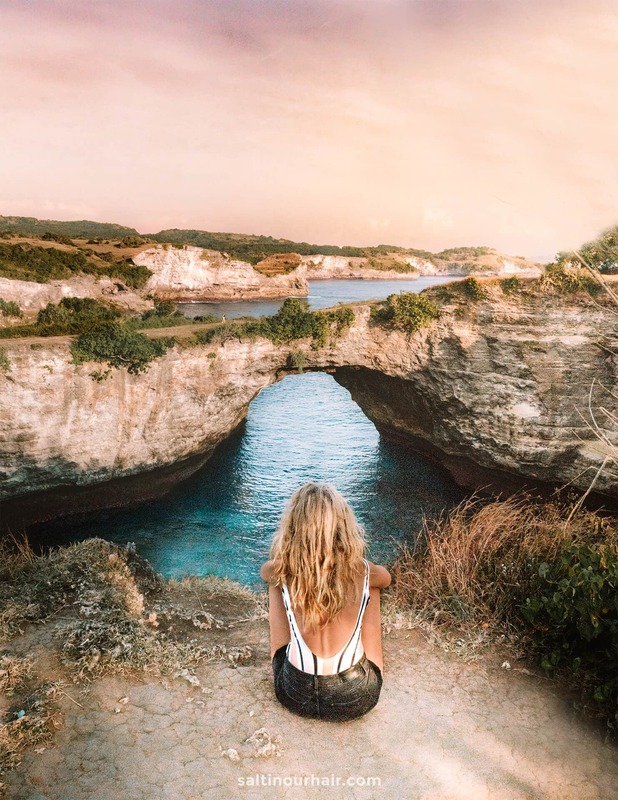 Penida island is just 30 minutes from Bali by boat and can be fully explored in a 3 day Nusa Penida trip. 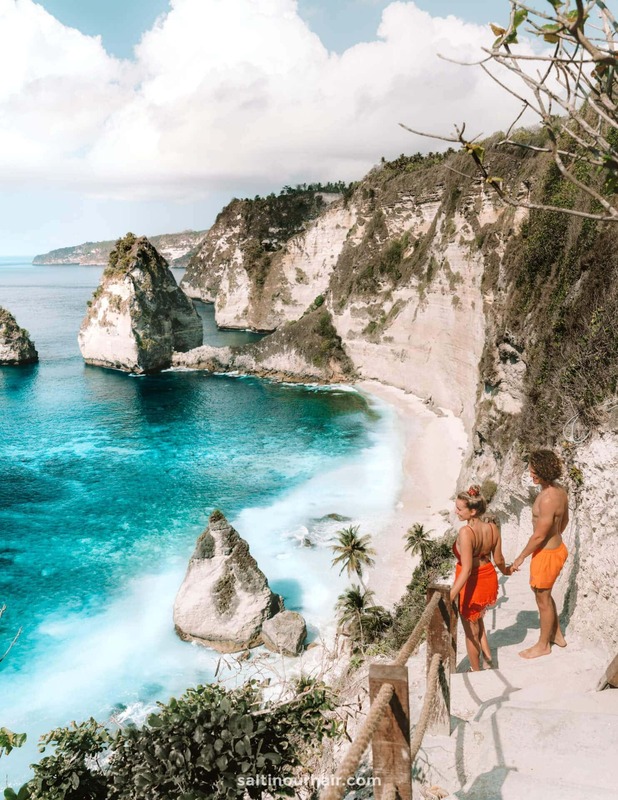 It is also a great option to do a Nusa Penida Tour day trip from Bali where you can either explore the east or west coast. 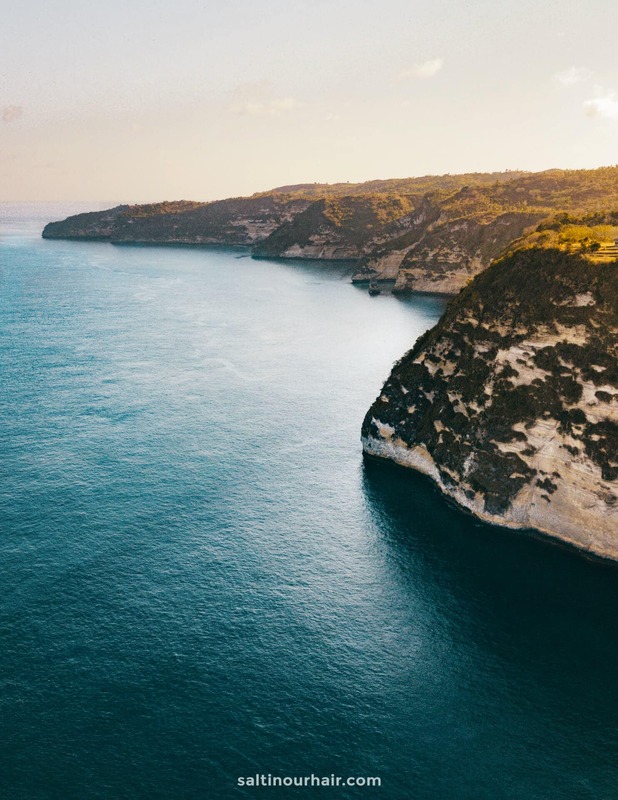 Penida island has loads of things to see and do. 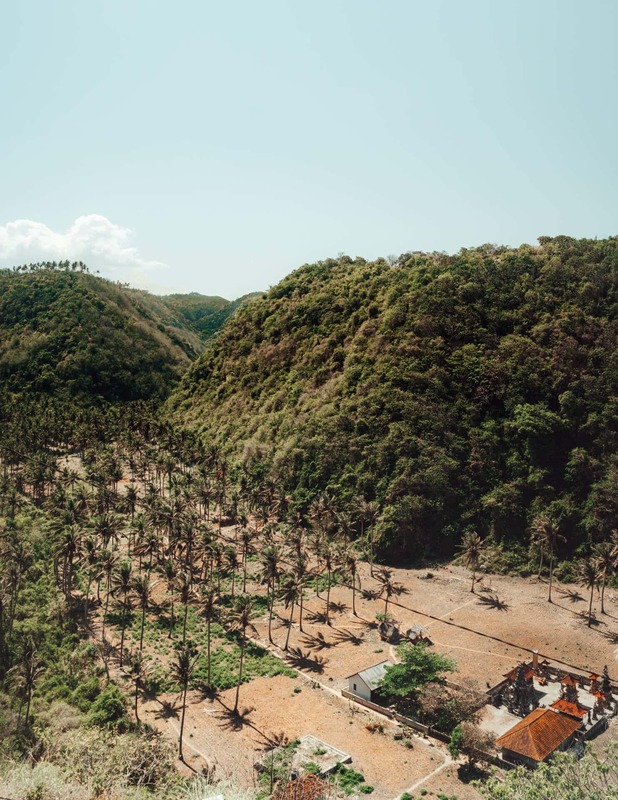 All over the island, you will find cassava and corn farms. In the center of the island, there are windmills that generate power for all three Nusa Islands. Here is how to see the island in 3 days. 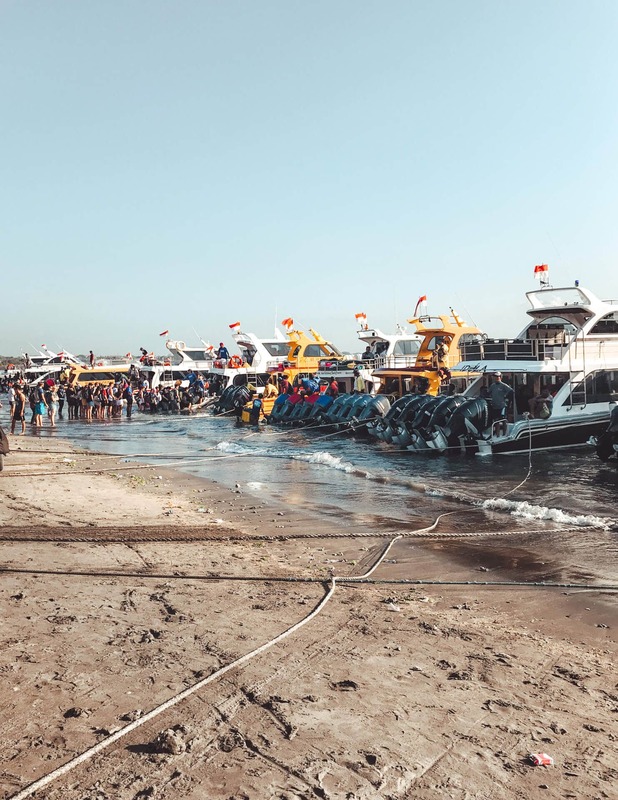 Catch the first ferry at 8 AM from the Sanur harbor to Nusa Penida. After a 35-minute ride, you can either rent a motorbike or jump into the car to explore Penida. Drop your stuff at your accommodation and make your way to the northeast of the island. Visit the Goa Giri Putri Temple, a sacred underground temple for the people all over Bali. Follow the road for a good 30-min towards the lesser known east coast on Penida island. Atuh Beach is a white-sand beach that is great for a swim. 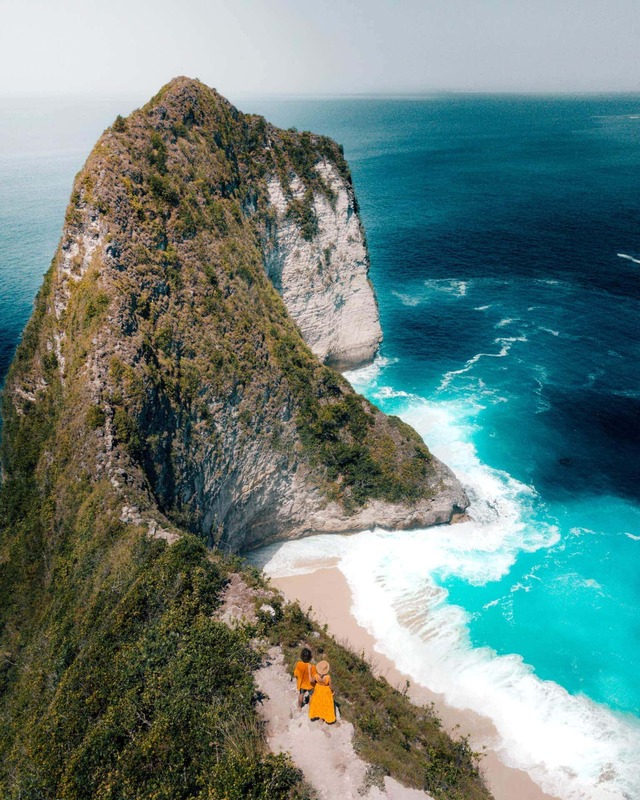 On top of the cliff is the view on probably the most beautiful beach in whole Bali; Diamond Beach. This is one of those beaches you will only see on postcards. Good to know is that it’s not recommended for swimming. There is a strong current with a lot of rocks and coral in the waves. Driver recommendation: Our dear Balinese friend Yande and his team. Finish the day at the Thousand Islands Viewpoint. 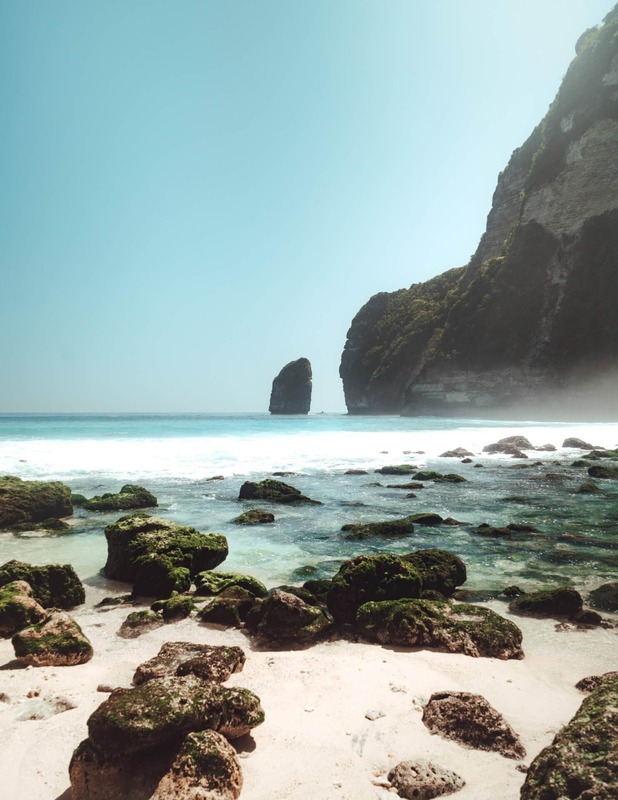 The viewpoint is overlooking Diamond Beach and many limestone formations in the ocean. Tip: More beach? Visit Suwehan Beach. Unfortunately, we could not go there due to problems after a small earthquake. 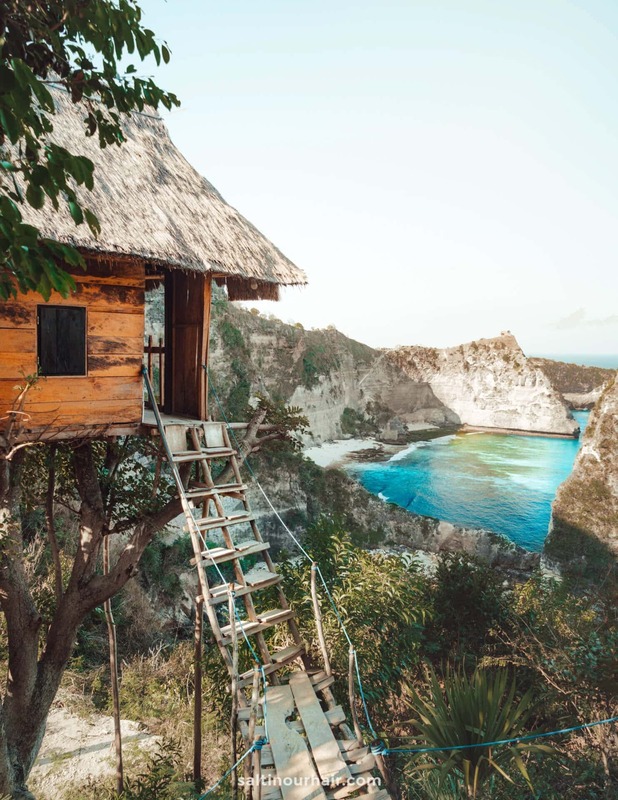 Looking for a unique accommodation on Nusa Penida? 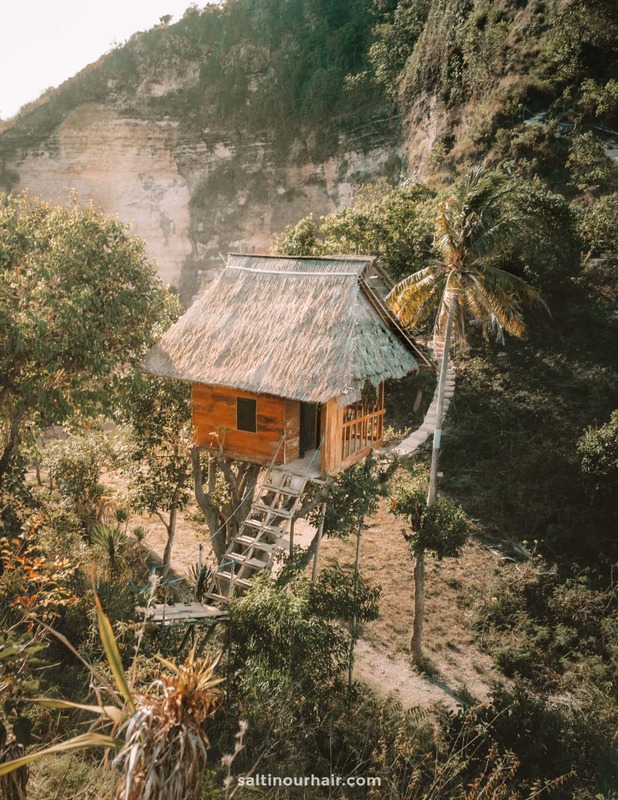 For about 30 USD you can stay at Rumah Pohon Treehouse. The sunrise from your balcony will be unbeatable. Today is all about the popular west coast on Penida. 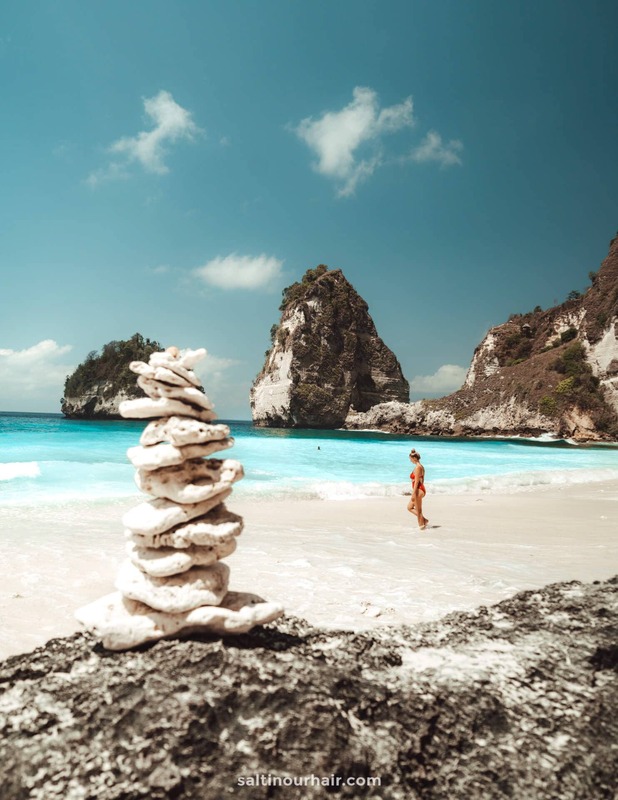 Head out first to Kelingking viewpoint and Kelingking Beach. We recommend visiting from 7 to 9 AM. The first tourists, coming by boat on a Nusa Penida Tour will start arriving from 9 AM. 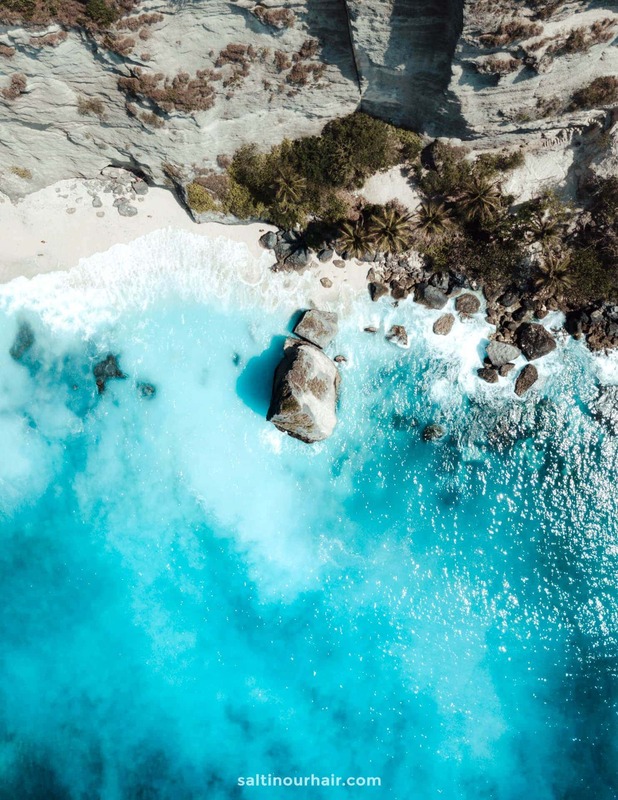 From there, Angel’s Billabong and Broken Beach are close and easier to visit. 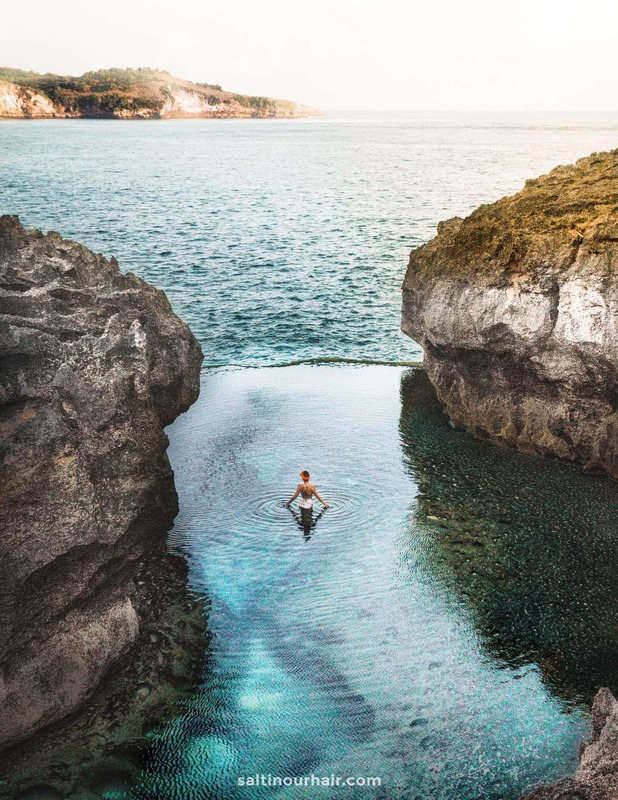 Angel’s Billabong is the natural infinity pool. Please be careful at the edge as strong waves will come over. 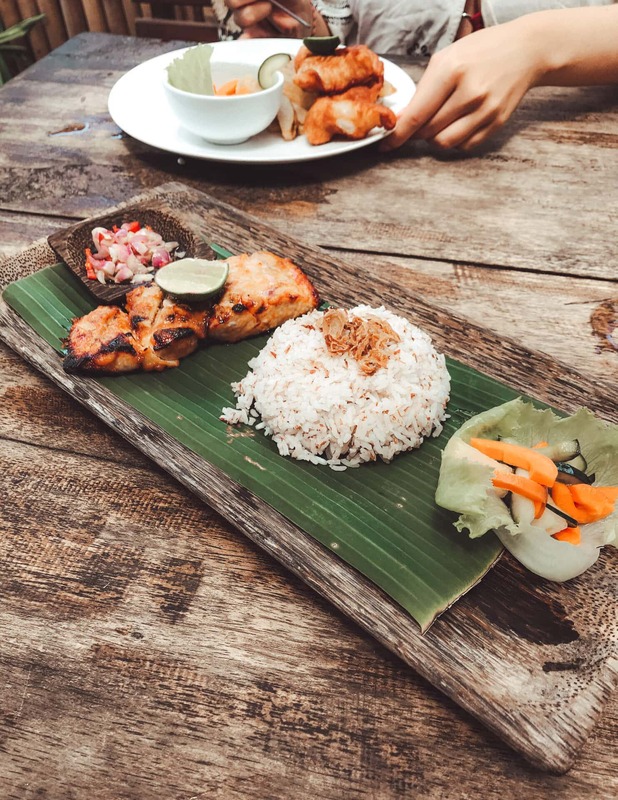 During lunchtime, get a great lunch at one of the restaurants on Penida island. We can recommend PenidaColoda or Ogix Warung. Tip: It’s recommended to wear shoes in the water at Crystal Bay since the rocks and corals are very sharp. The Nusa Islands have some fantastic points to snorkel or dive with Manta Rays. Manta Point is the best spots and if you can, plan an extra day on Penida Island snorkel or dive with Manta Rays. Loads of diving resorts are opening their doors. 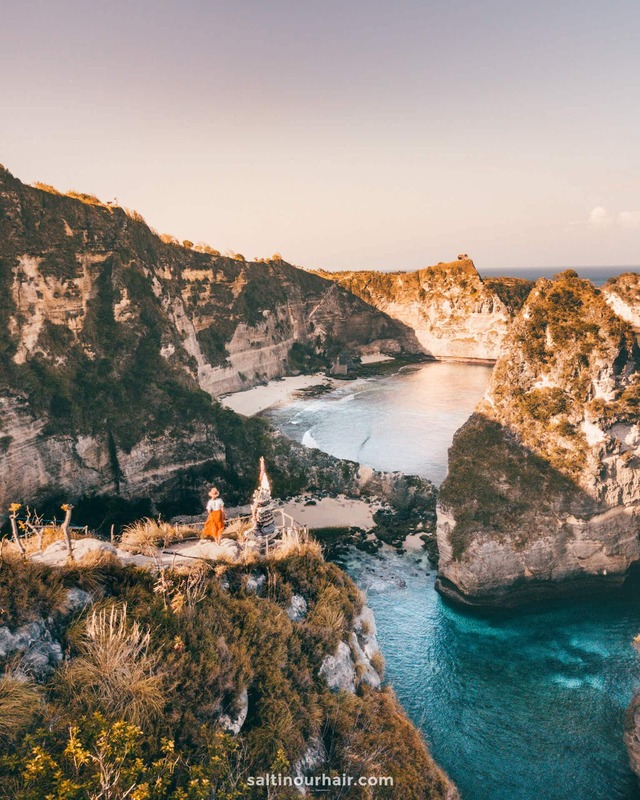 Some Bali visitors actually spend more time on the Nusa Islands than on Bali itself. 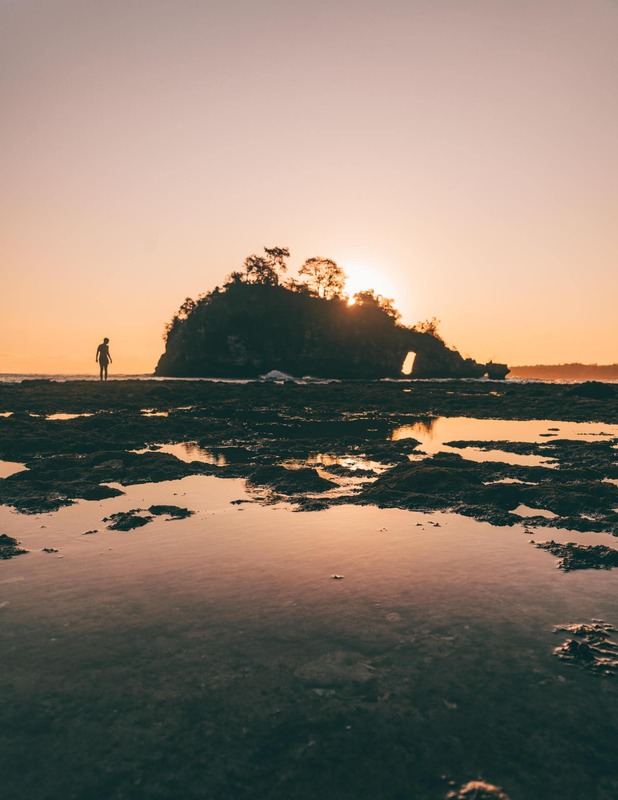 The last day of exploring Penida island will be to a few lesser known spots. Start at Peguyanan waterfall. 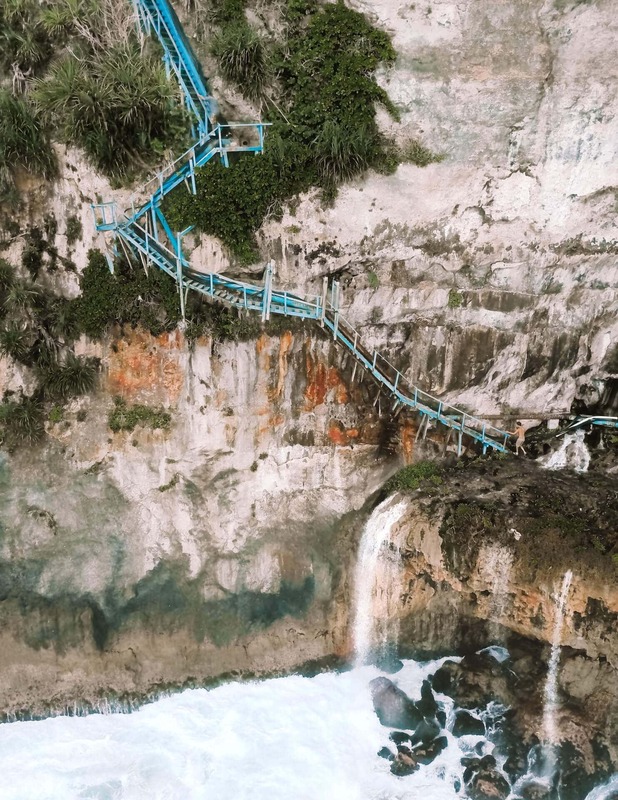 A blue staircase on the side of the cliff runs all the way down to a temple tiny waterfall. 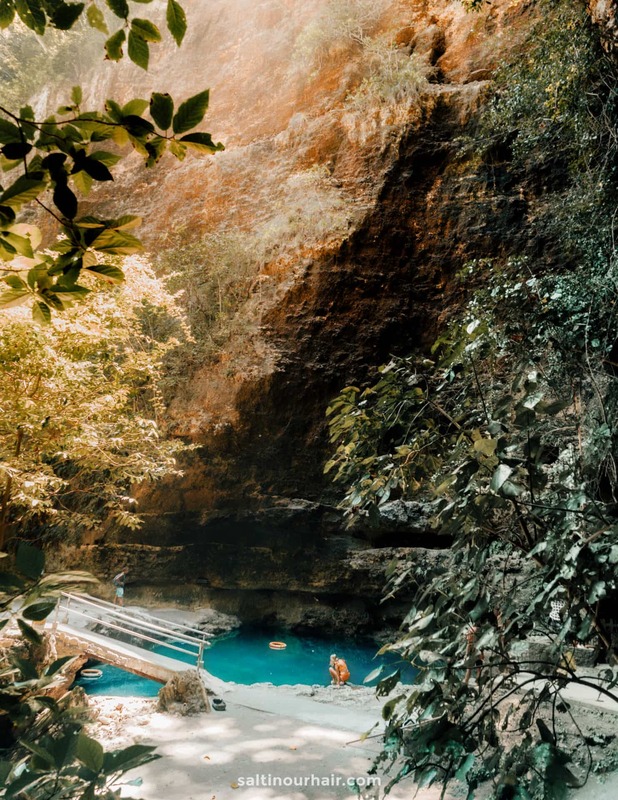 Next up is a natural sweet water pool hidden inside the jungle called Tembeling. A 5-minute walk from the pool is a secluded white sand beach. You can only get here via a local that takes you down by motorbike, or drive it yourself. Please note: The road is narrow and very steep for a motorbike. Only recommended if you are experienced! 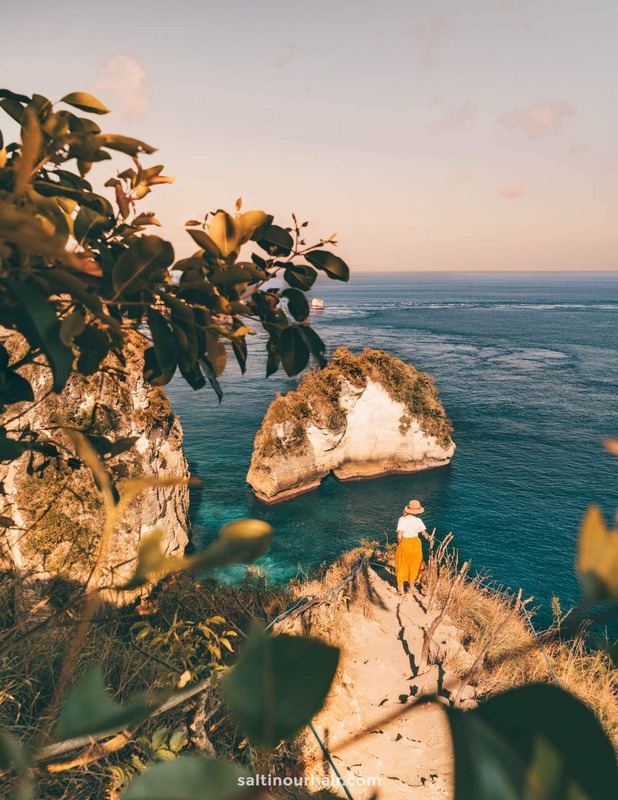 Close off your Nusa Penida trip at Banah Cliff Point. Head back to Bali by boat at 16:00 PM or 17:00 PM. These two times are the last ferry boats. 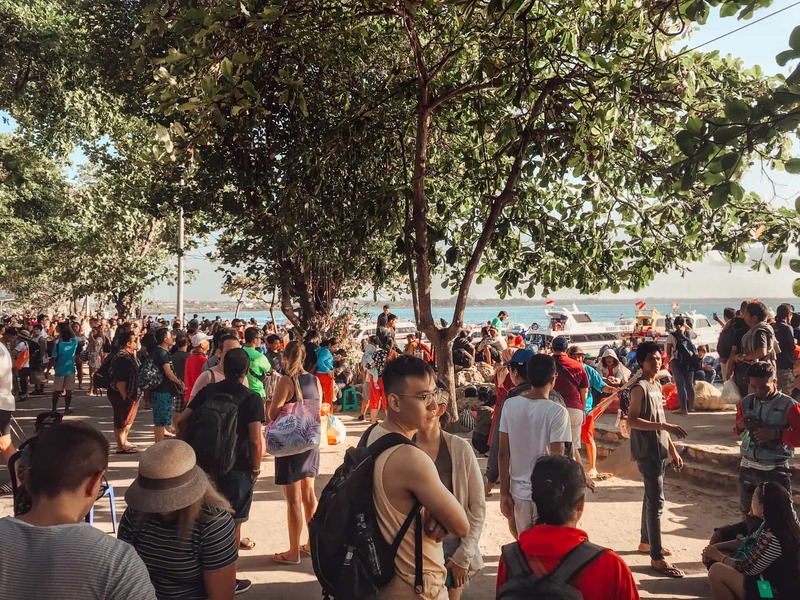 The ferry from Bali to Nusa Penida leaves 4 times a day: 8 AM, 9 AM, 10:30 AM 16 PM, and 17 PM. The ferry takes 30 – 40 minutes depending on how wild the water is. 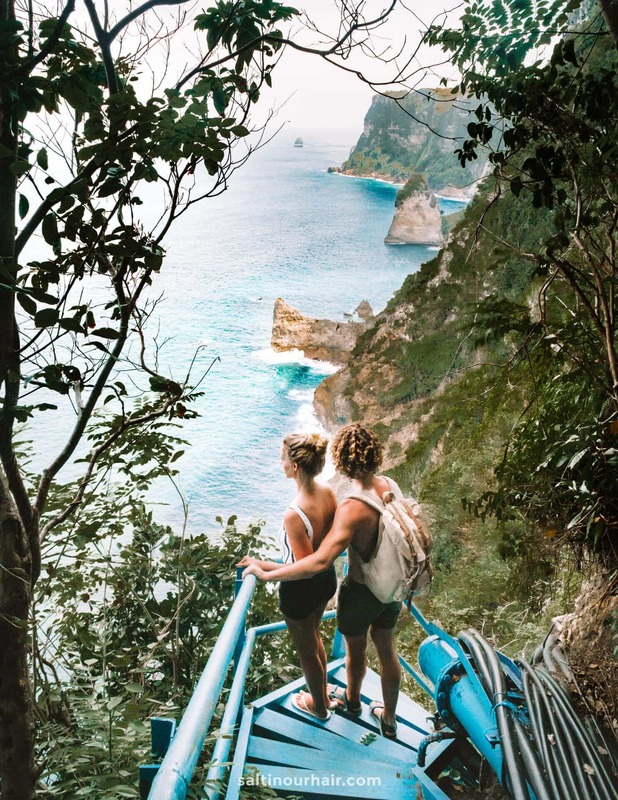 There is no pier at Nusa Penida, you have to get on and off the boat walking through the water so it is advised to wear removable shoes. The boat staff will help you with your big pieces of luggage. Good to know: Every year on a different date is ‘Day of the silent ocean’. Boats won’t run. Make sure to check this in advance via Google. 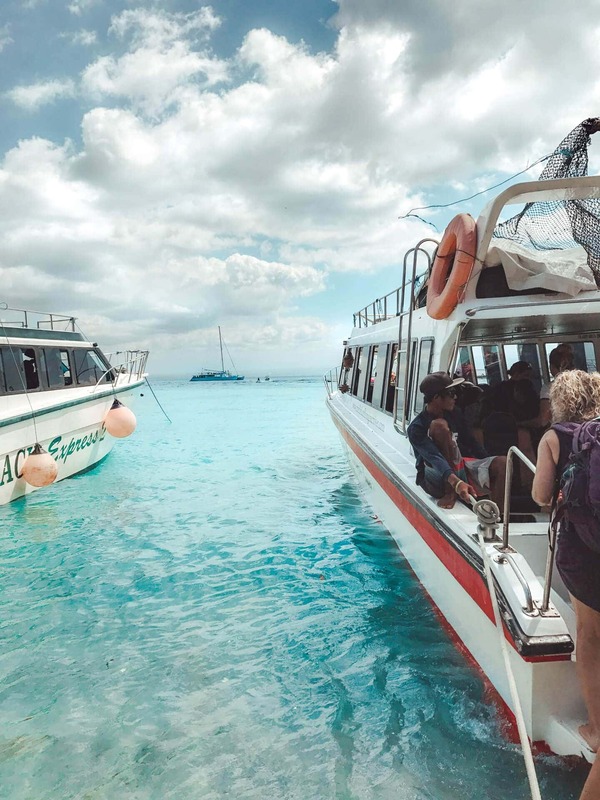 From one of the other Nusa Islands like Lembongan or Ceningan, it is a super short 15-minute boat ride. It is best to arrange a private boat from Mushroom Bay. The distances to drive on Nusa Penida are maximum 60 to 90 minutes which is doable by motorbike. However, since the construction of the new roads in 2018, we don’t recommend it anymore to drive a motorbike. The narrow roads don’t fit two cars and with their crazy driving accidents with motorbikes happen every day. 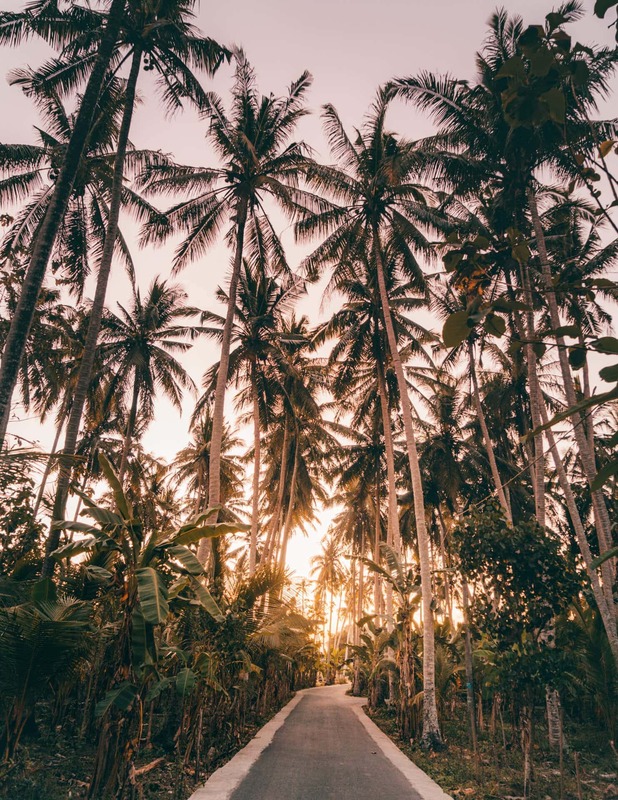 Exploring the island is most relaxed and comfortable by car. 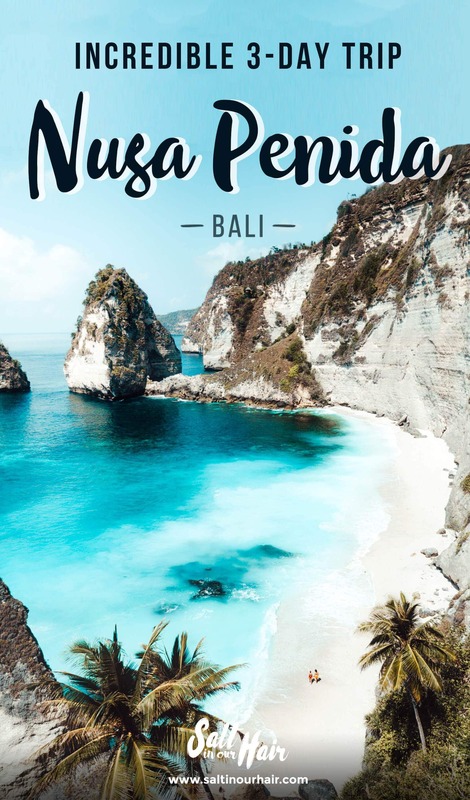 You could do one day return to Bali or spend one night on Penida where you see West and East. 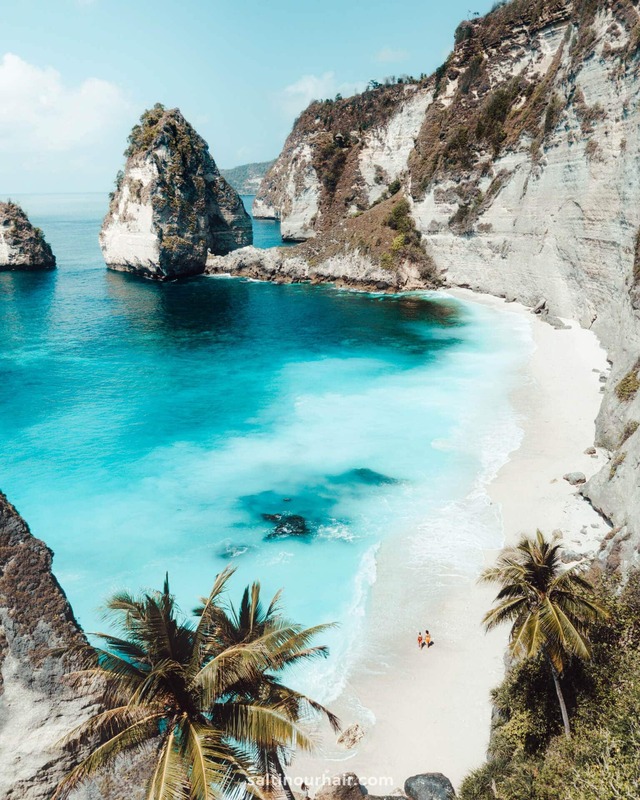 For the exact prices check out our Nusa Penida Tour article. 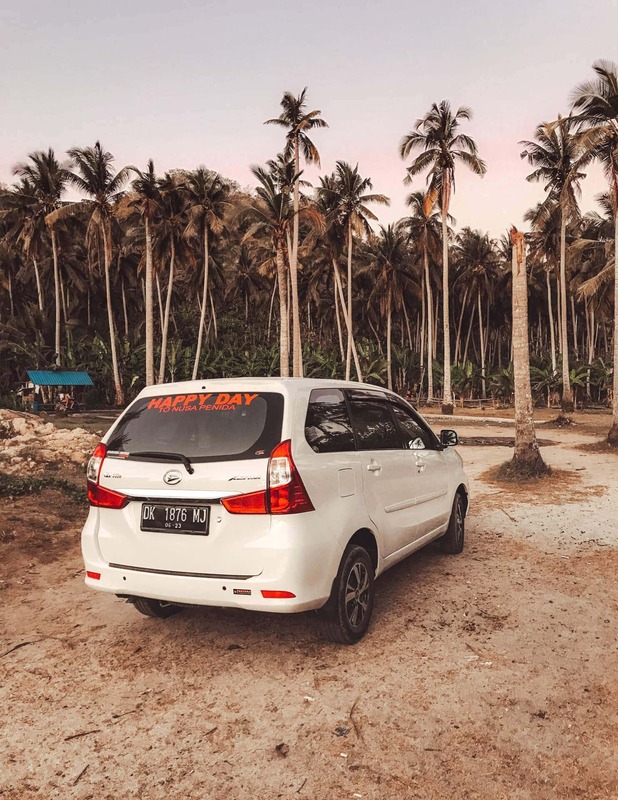 Driver tip: Contact our Balinese friend Yande and his team on Messenger. That having said if you are a very, very experienced driver, exploring by motorbike is definitely the most beautiful way. You can rent a motorbike at the harbor starting at 60.000 IDR (4 USD) a day. 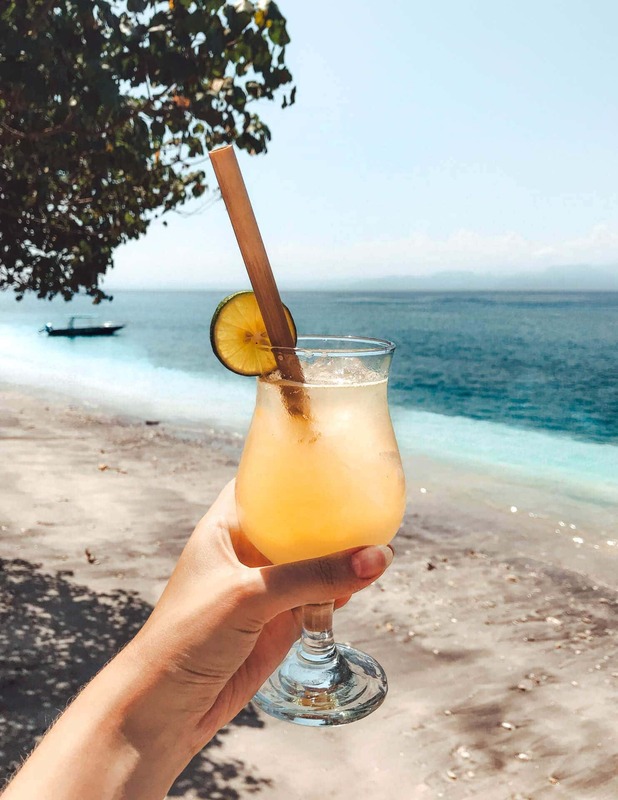 Wifi or a 3G connection isn’t always normal on Nusa Penida so download offline Google Maps to always find your way back to your accommodation. Getting around by car is a lot safer and more comfortable with these new roads. You can rent a driver for a few days that takes you around the island. 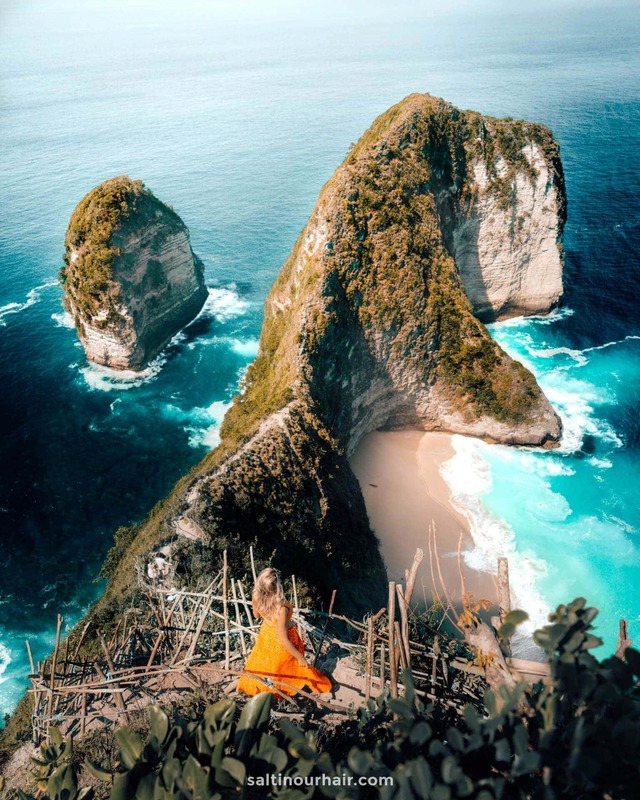 Nusa Penida’s breathtaking nature is getting noticed all over the world which is why tourism is increasing rapidly. New gravel roads have been constructed all around Penida island and the first two ATMs (see locations) opened up. However, the new roads are very narrow and busy so it is not recommended driving a motorbike if you haven’t had a lot of driving experience. Most accommodations on Nusa Penida are located in the west and north. We recommend picking one accommodation for all the days since you can get from one side of the island to the other in 60 minutes. 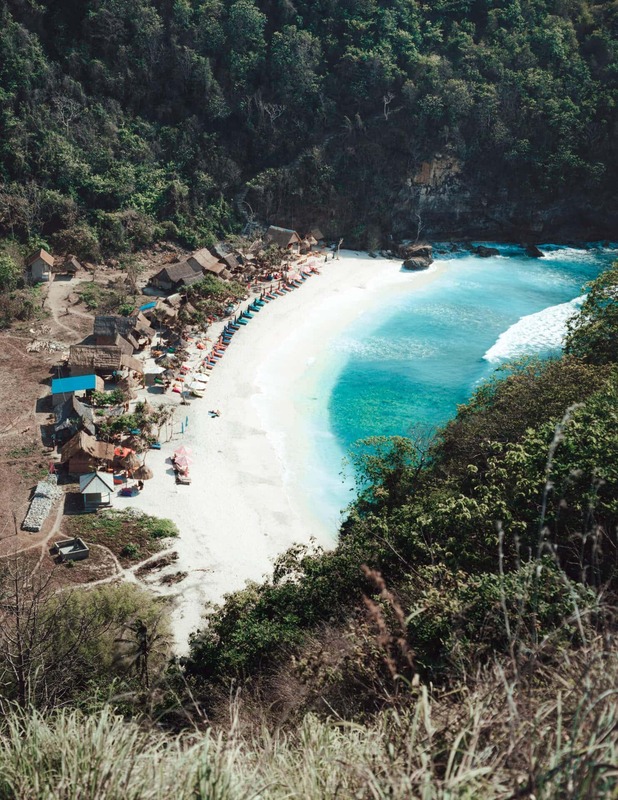 The accommodations on Nusa Penida change from homestays, guesthouses to beautiful bungalows. 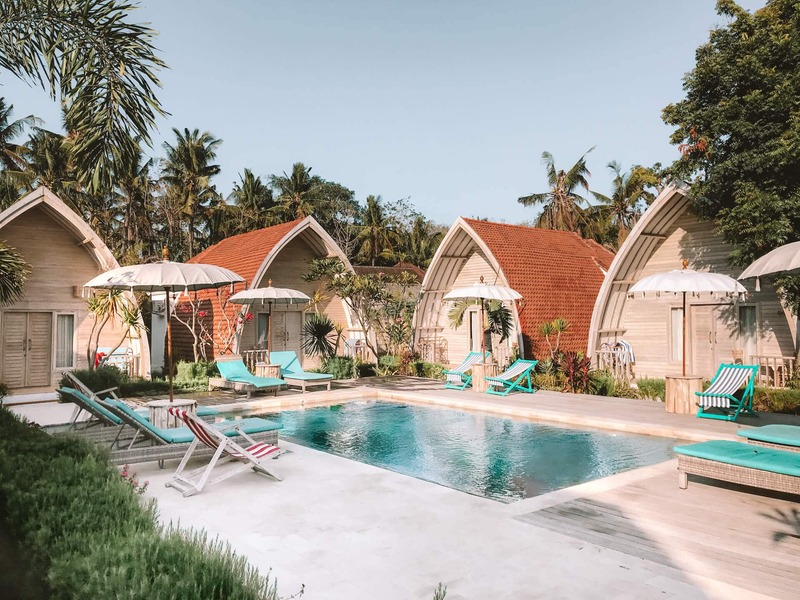 Prices are a little higher compared to Bali because of the high demand. We recommend booking an accommodation in advance.